One of our customer want to introduce a UR5 in front of its 5-axis CNC machine. Everything is set to work perfectly except that the vice in the machine cannot be activated automaticaly. The customer need to figure how he can feed its vice with compressed air without having twisted hoses. He will be using a SCHUNK TANDEM KSP and a Fanuc Robodrill D21LiA5. Is there any plug and play option to route air hoses to the vice? I f not, is there an easy to do it? We have seen clients buying automatic vice when they ordered their CNC, but have not found a solution to add an automatic vice to an existing 5 axis CNC. Anyone had some ideas? Is the 4th/5th axis on the machine have a through hole? 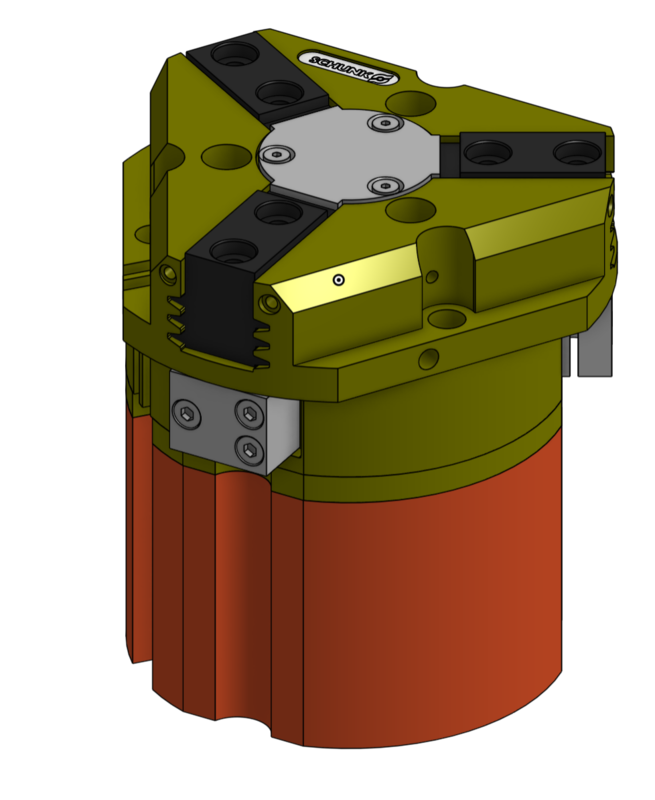 We did a 5 axis application on a Haas using a Schunk PZN-Plus centric gripper (small, lightweight plastic part) and the adapter that we designed brought the airlines up through the through hole and then we used the air-ports on the back of the gripper to pass air from the adapter to the gripper. In their program they never rotate the part more than 180 degrees so at most the airlines have 1 twist in them and most of this is at relatively slow speeds, they are using the 4th and 5th axis for contouring only. 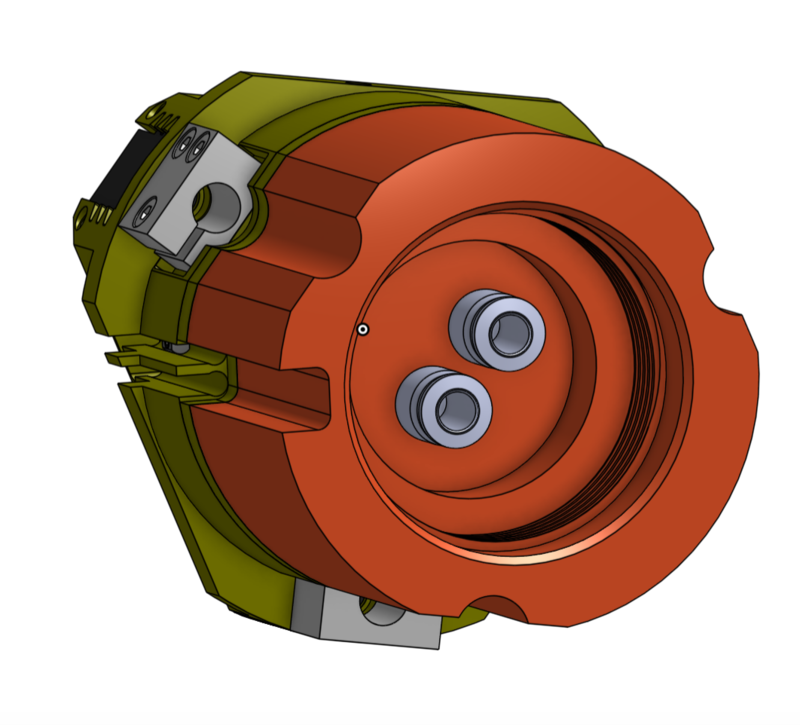 I am not sure looking at the Schunk drawing if the Tandem KSP has rear air ports on it like the grippers do. Thanks. We also looked at rotary union like this one made by SMC. I am just not sure about the results. All I know is that the client had to design the vice on its own! @matthewd92 @alexandre_pare they actually have a hole underneat the actual vice. I am sure some air hoses can run through this hole. Once the air hoses have passed through this hole I am guessing that the problem is solved, isn't? @mathbelanger I'd say it's much closer to being solved by being able to route the airlines up from the back. 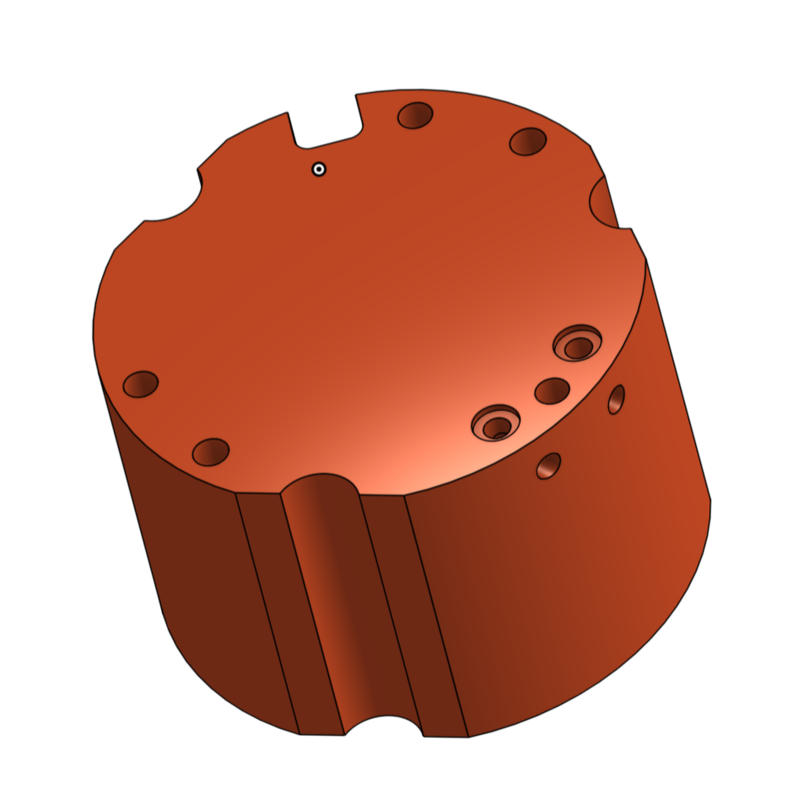 Our original plan called for cross drilling the adapter so that we could jut plug the holes in the bottom of the adapter and then have a short section connect the adapter to the side ports on the gripper. Since we have the backplane air ports though we just used those which means we have no exposed airlines out in the machine area. Depending on where the ports are on the Tandem, you might be able to use (2) 90 degree fittings and a really short piece of hose, effectively making a 'U' and thereby not have much exposed hose to worry about or you could use copper tube for that portion. Here are a few pictures of what we did, the orange is the adapter for mounting to the nose of a 5C collet 4th/5th axis turret. Curious to know how you guys solve it in the end.